Jasmine flowers are added to the Chinese green leaf tea to produce a delicate floral aroma and taste. Classic after dinner tea but is popular all day long. Jasmine flowers and green tea are meant to be together, they're in love and it shows. A flavour combination that gives the depth of green tea aromatics balanced with the sweet flora taste of Jasmine. 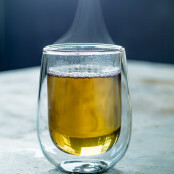 Jasmine Green Tea is Suki Tea's deluxe floral fragrant green tea offering with premium fresh beautiful jasmine petals. Ingredients: Chinese green tea with jasmine petals. Product : One of my favourites, this has a delightful flavour that never disappoints. Have used Suki tea for years. When I did have a problem with a purchase. It was dealt with quickly and professionally. Top quality tea. 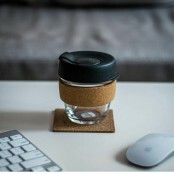 Product : My wife tried this in a restaurant and specified the Jasmine Green Tea to go with her teapot.